The finest moment for the Eiffel Tower occurred seconds after this century began. The rest of the world had been condemned to predictable firework displays. All were impressive and grand but there are only so many times a human being can blink in wonder. Britain fared badly because the Queen had to be trotted out. Worship inevitably distils celebration. When the BBC brought film of the millennium party in Paris there was sudden hope. The French were glamorous and sophisticated. They were also a Republic or, more accurately, the Republic. What happened in Paris was unforgettable. Whilst the rest of the world was proving there was only so much that could be done with a box of sparklers, the French set off a spiralling plume that whirled around the Eiffel Tower from bottom to top where the plume exploded into climatic bright white flame. Nothing summed up what we thought would be the new century better than this. The tower came to orgasmic life, a phallic thrust of confident male ambitious materialism. The puddled metal insisted that the future would provide more ecstasy per person per moment than ever before. It could have been offensive but there was also a sense of a knowing charming French smile, the irresistible slyness of champions. Like Elvis, the tower exists as a self-contained icon for many but visitors soon realise that its importance and significance is only understood properly after seeing the Trocadero and the Champ de Mars. Something has to dominate but the rest is important. The serious will, of course, feel obliged to pick favourite spots away from the tower, places away from the crowds where we can feel special and maybe even superior. All this reminds me of Elvis. The tower was built as an entrance arch to the 1889 World Fair. It symbolised change and opportunity and prepared visitors for a new world and what would follow. 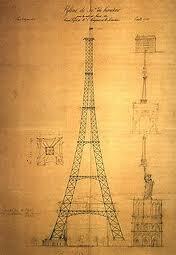 The plans for the tower horrified the famous and the sensitive. They condemned what was being proposed, said it was a vulgar mix of architecture and engineering. The writer, Guy de Maupassant, was amongst those who signed a petition in protest. The protesters were anxious men and women, ‘We shall see stretching like a blot of ink the hateful shadow of the hateful column of bolted sheet metal.’ Something similar happened when Elvis appeared on the Ed Sullivan Show. The two icons, though, have persisted. There is a famous photograph of American soldiers in the jeep at the foot of the tower, taken during the Second World War. They stare and point their cameras. The scene makes obvious the instant and universal appeal of the icon. 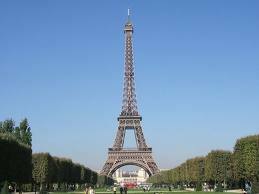 The Eiffel Tower is not the tallest building in the world anymore. It is 1050’ tall. 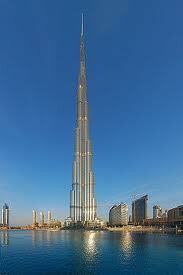 The tallest is the 2,723’ Burj Khalifa in Dubai. As in the recording studio, superior technology enables grander ambitions. But, if you made the world once hold its breath, you will always be guaranteed the curiosity of others. Your memory will forever tempt them with potential intimacy. Graceland is the number one tourist location in America and the Eiffel Tower has the most visitors of all the monuments in the world where the visitor has to pay a fee. Those who visit the tower will see a sign on the second level that tells you about the imitators and how the building has been copied in various countries and locations. Inevitably, Las Vegas is mentioned. Blackpool Tower is ignored. I looked at this sign and wondered if the tower might have ghosts and whether the ghost of Jimmy Bickerstaffe has somehow floated across the channel to Paris. Jimmy was once Mayor of Blackpool. I live about 50 miles from Blackpool. I do not have to travel far up the coast for the tower to become visible. Jimmy visited the World Fair in Paris in 1889, saw the Eiffel Tower and thought something similar would help attract visitors to his town. 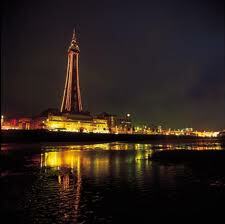 Blackpool is the most popular seaside resort in Britain. The town is famous for its dreary beaches, fish and chips, gay weekends and its illuminations. Once a year for several weeks the promenade is stacked with portmanteaux and light bulbs. Blackpool Tower is only 518 feet but it is illuminated like everything else and this image has helped make the town memorable. More than one child in Britain has looked at the Eiffel Tower and said, ‘oh, that’s just like Blackpool.’ There are people who think Jimmy was a great man and if he was a typical provincial mayor Jimmy would have probably agreed. So if he is a ghost, and has followed his dreams and is now floating somewhere around the second level in Paris and reading the slight against Blackpool, he will probably feel that infinity is destined to leave him unfulfilled. The town and Jimmy always had special plans for their imitation tower. The base houses the Blackpool Tower Circus and the top platform contains the Tower Ballroom. BBC used to broadcast ‘Come Dancing’ from the Tower Ballroom and the ballroom had a Wurlitzer organ that was played by Reginald Dixon who became known as Mr Blackpool. Dixon was a professional organist for fifty years and has sold more records than most. Be warned, though, Reginald would not have taken Booker T and The MGs to a higher level. The ballroom is a fine building and it tempted Duke Ellington to perform 518 feet in the air. Supposedly, Reginald and Duke became friends. In the same way that the ballroom featured Reginald Dixon, the Tower Circus was graced with the presence of the gifted Italian clown, Charlie Cairoli. Blackpool and the Italian suited each other and he settled into the comforts of provincial Northern life. 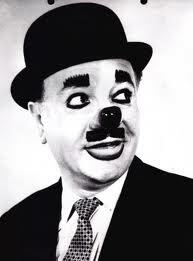 His circus character was an exaggerated version of Charlie Chaplin. He wore a red nose and a bowler hat. He died peacefully on the North Shore in Blackpool and it is easy to picture him lying in bed, the waves lapping against an endless beach and Charlie’s red nose pointing at the ceiling of his secluded bungalow. Jimmy was not an aesthete and his legacy has been complicated. If he had been an Elvis impersonator, he would have selected without qualms the white suit and the rhinestones. Presumably, the impersonators, those whose towers are smaller and lack the independent base crucial to immortality, have to try harder. (The base of Blackpool tower is hidden by buildings.) So it is no surprise that the gloriously named Jungle Jim’s Towering Adventureland has been added to the tower. This is a really good place to take the kids, feel miserable and be proud of yourself as a father. Think of Elvis on a bad night singing ‘My Way.’ The imitators, though, can never match the original. Elvis had ‘Hound Dog’ and the Eiffel Tower had its millennium triumph. The top of Blackpool Tower was painted silver in 1977 to celebrate the Queen’s Silver Jubilee and seven years later (the two incidents are not related) a giant model of King Kong was attached to the side of the tower. The Elvis impersonators are relentless and despite me being snooty they are shameless enough to prevail. Mayor Bickerstaffe do not torture yourself with the insult to your memory on the second level of the Eiffel Tower. Come back to Blackpool and help Charlie polish his red nose. If you want to read about Elvis and much more click here. I wondered how the comparison of the Eiffel and Blackpool Towers could work, but Howard has produced an evocative and almost pastoral piece which I much enjoyed. He has again demonstrated his versatility and creative thought process.